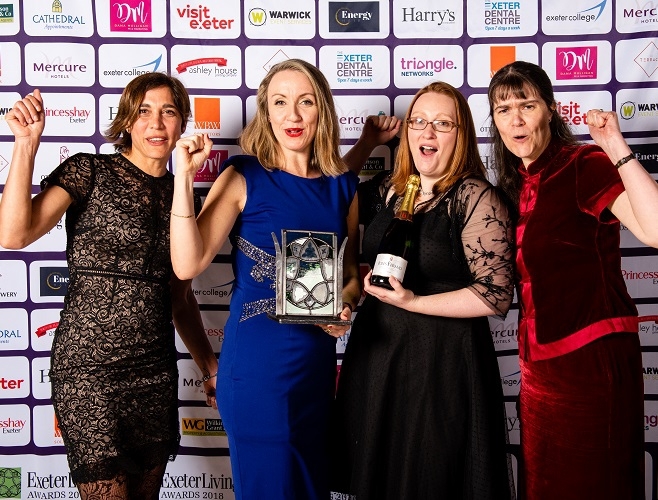 Biosystems Technology (BST), a SETsquared Exeter member providing ethical alternatives to animal testing, has recently received an acclaimed Exeter Living Award in the category of Technology and Innovation. BST are also conducting an Innovate UK funded R&D project in partnership with James Wakefield, Professor of Integrative Cellular Biology and his laboratory at the University to develop genetic tools for G.mellonella, the greater wax moth or honeycomb moth. The Exeter Living Awards now in their third year celebrate the very best of Exeter. The next event will take place in April 2019.